Sounds bad. But where’s the evidence? I think we should see it, don’t you? After all, it’s no trivial matter when a social media giant snatches away the publishing platform and livelihood of a citizen journalist with over one million followers. If Tommy Robinson is genuinely whipping up hate and calling for violence against Muslims, surely the police would surely have been in there like a shot, launching yet another prosecution against him. 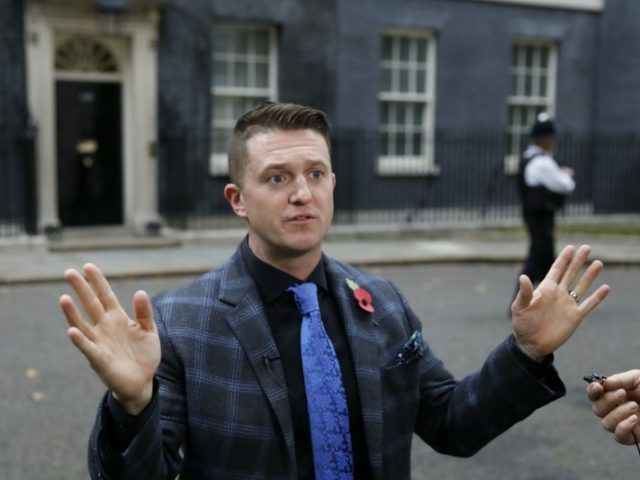 If you believe the mainstream media, he’s a menace – the root cause of all the tension and occasional violence between the Muslim and non-Muslim communities in Britain. He has become Britain’s chief scapegoat – or, if you prefer, its Emmanuel Goldstein: the guy it’s safe for everybody to hate because, never mind the details, he’s just bad, OK? It seems bizarre, not to say sinister, that Tommy Robinson is being deplatformed. This is not just the position of Silicon Valley, either. It’s also the position of both the British Establishment and the globalist elite generally whose double standards on this particular issue are quite atrociously blinkered, hypocritical and irresponsible. Here is Conservative peer and Foreign Office Minister Lord Ahmad, earlier this week, talking about the vital importance of media freedom. This claim would look more convincing if he hadn’t simultaneously announced that the UK will be standing for re-election to the United Nations’ Human Rights Council. The United Nations most definitely does not believe in media freedom. GENEVA: UN Secretary General Antonio Guterres on Monday launched a new global strategy to combat hate speech, a growing scourge he said has ‘poisoned’ debate on crucial challenges like migration. See how ‘hate speech’ has now been redefined to include anything critical of “migration” (something Guterres clearly believes to be a challenge to be overcome positively in the spirit of Angela Merkel’s infamous “Wir schaffen das!” and not criticised in any way)? Well, you can stop people talking about a problem by censoring them. But it doesn’t actually make the problem go away, does it? All those Tommy Robinson supporters, for example – a least a million that we know of, and probably many more: they’re not suddenly going to give up being angry and frustrated just because Facebook has decided to deplatform their chief spokesman. On the contrary, I suspect the effect of this ban will make Tommy’s fans more angry and determined than ever. Could this kind of censorship end up creating more of the violence and hatred which it is professing to suppress? I hope not. But I believe it could. Not now, perhaps, Maybe not for many years. But I simply do not see how there can be a happy ending to a situation where the political and media class chooses to write off a whole section of the population as being beyond the pale of discourse. If reasonable, ordinary white working class people are no longer permitted to express their concerns legitimately and peacefully, my fear is one day they may be tempted to do so through other means. And if it ever does coma e to violent confrontation between the populists and the globalists, it won’t be Tommy Robinson who is to blame, but the supposed liberals who used totalitarian censorship methods to try to close down freedom of speech and democracy.